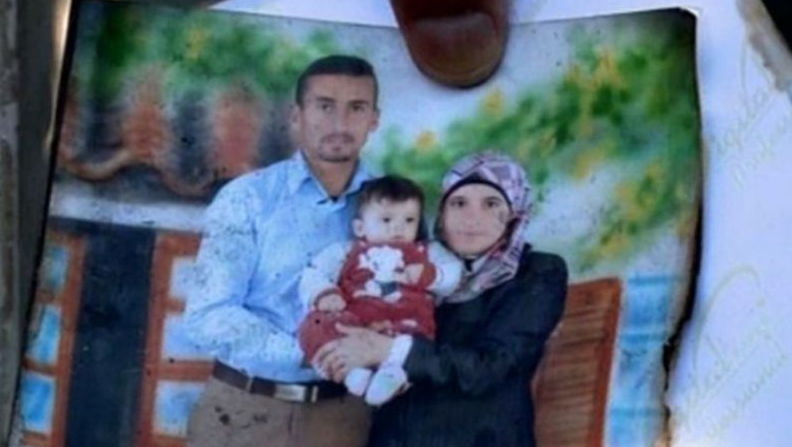 A suspect in the deadly arson attack on the Palestinian Dawabsha family is expected to be charged with murder within days, Israeli media reported. Israeli state prosecutors reportedly notified the Petah Tikva Magistrate’s court on Wednesday that an indictment would be submitted in the following five days, Israeli daily Haaretz reported. The online daily added that charges against “another minor suspect” involved in the attack have yet to be decided. Investigations into the Dawabsha arson attack have been followed closely by critics who in the past have criticized Israel for allowing Israelis to carrying out attacks on Palestinians and their property with full impunity. 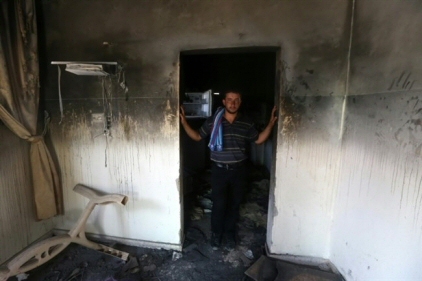 Suspected Israeli extremists affiliated with a Jewish terror organization on July 31 set a Palestinian home ablaze in the West Bank village of Duma, burning alive an 18-month-old. The infant's parents later died from severe burns, leaving 4-year-old Ahmad Dawabsha the only survivor of the attack. Local witnesses saw two suspects at the scene at the time of the attack, both of whom fled to a nearby settlement after setting the home ablaze. Several suspects were detained in November however the majority of information on those arrested still remains under a gag order requested by the Israeli police. Israel’s internal security agency Shin Bet came under fire earlier this month from far-right groups alleging that the agency used torture during investigations into the suspects. Israeli leadership has largely defended the agency, who in the wake of the allegations released a statement warning against the growing influence of Jewish extremist groups over the Israeli government. Haaretz reported that a suspect in the Dawabsha case taken into custody had been released on house arrest earlier this week after their suspected involvement was dropped. Israeli police reportedly announced an indictment would be file against him for “assaulting Palestinians.” The 18-year-old suspect reportedly assaulted a Palestinian near the illegal Baladim outpost in the occupied West Bank two years ago. Israeli settlers carried out well over 300 attacks on Palestinians and their property in 2015, according to documentation by the UN Office for the Coordination of Humanitarian Affairs. The oft called “price tag” attacks were labelled as acts of terrorism by the US government in 2013. 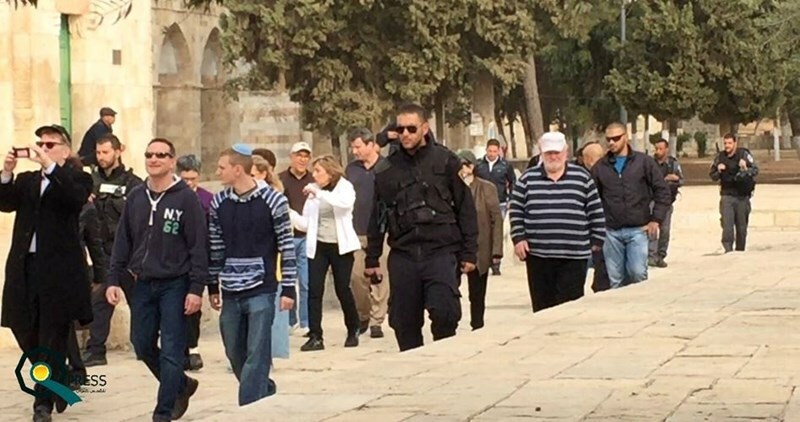 Special forces from the Israeli police on Thursday morning escorted a horde of Jewish settlers as they were touring the Aqsa Mosque's courtyards. Local sources said that Jewish settlers desecrated the Mosque's plateaus and some of them tried to perform rituals, which provoked Muslim worshipers into chanting religious slogans in protest at their presence. Outside the Mosque compound, Israeli policemen were restricting the entry of Muslim worshipers and prevented others from going in at the pretext that their names were blacklisted. Israeli police have arrested five Israelis involved in a Jerusalem wedding ceremony that incited violence towards Palestinians, Israeli media reported Tuesday. 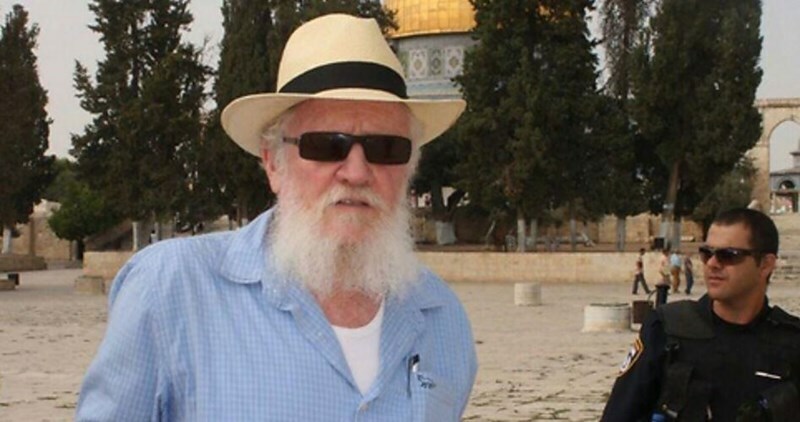 The groom of the wedding -- reportedly a well-known member of the radical right -- was arrested in addition to an Israeli soldier and two minors, Israeli daily Haaretz said, according to Ma'an. Israeli police also arrested renowned extremist settler Daniel Pinner from the illegal settlement of Tapuah, who was among a number of others seen dancing with a gun in video footage of the wedding ceremony, Haaretz reported, adding that Pinner’s attorney claimed the gun was a toy. Israeli police opened an investigation into the wedding last week after video footage aired by Israel’s Channel 10 went viral. The video shows Israelis present at the wedding dancing and singing songs of revenge while waving knives and guns in the air. At one point during the ceremony, a masked Israeli youth waves a firebomb while another stabs a photo of Ali Dawabsha, an 18-month-old Palestinian burned alive in an arson attack carried out by Jewish extremists over the summer. The infant’s parents later died from severe burns, leaving their four-year-old child Ahmad as the sole survivor of the attack. Controversy over the video erupted as Israel’s right slammed Israel’s internal security agency Shin Bet for its investigation into the Dawabsha murders, which has increased internal tensions within the national religious right. Israeli Prime Minister Benjamin Netanyahu said that the wedding video showed "the real face of a group that poses danger to Israeli society and security,” days after the Shin Bet warned that Jewish terror organizations were aiming to “violently overthrow” the Israeli government. Violent clashes erupted late Tuesday evening in occupied Jerusalem and near Qalqilia, while Israeli settlers performed Talmudic rituals east of Tulkarem. In Occupied Jerusalem, confrontations broke out between Israeli forces and local youths at the entrance to Shufat refugee camp, north of the city, amid heavy fire of tear gas bombs. Tear gas suffocation cases were reported during the clashes. In the West Bank, an Israeli bus was allegedly targeted with three Molotov cocktails near Azzoun town east of Qalqilia. Large numbers of Israeli forces rushed to the area and carried out search and combing operations. No arrests were reported. 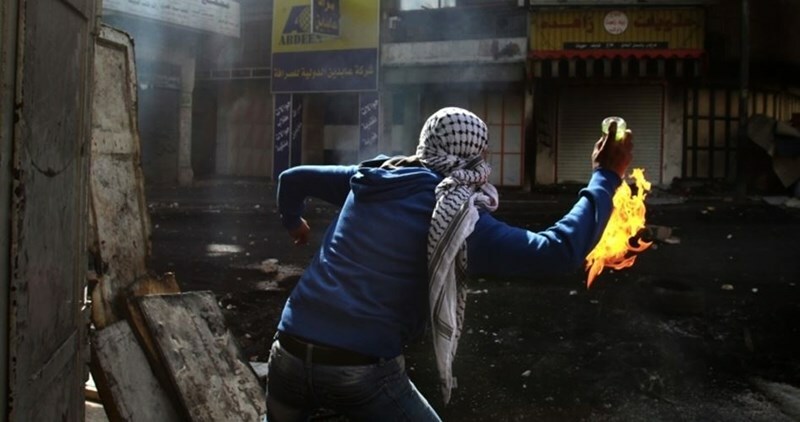 Following the Israeli raid campaign, clashes erupted between local youths and invading soldiers which led to the injury of two youths with rubber bullets. Meanwhile, a group of Israeli settlers gathered late yesterday at Bawabet Shofa, southeast of Tulkarem, and started performing Talmudic rituals under Israeli forces' protection. Palestinian inhabitants' movement was restricted in the area.